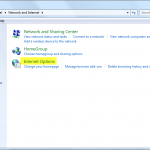 Windows Start Button -> Control Panel -> Network & Internet -> Internet Options, click the “Advanced” tab and check “Enable FTP Folder” and “Use Passive FTP”. 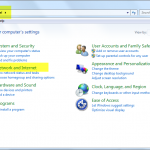 Below are screen-shots for accessing these features in Windows. Please click the small-image to view the full-image. 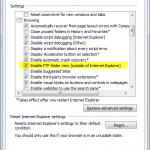 Scroll-down to “Enable FTP Folder” View and make sure it’s CHECKED. 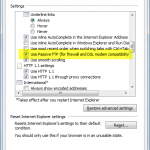 Scroll-down to “Use Passive FTP” and make sure it’s CHECKED.